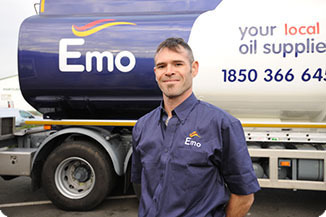 At Emo Oil, we believe in providing our customers with a premium class service at fair and competitive prices. Because crude oil prices changes on a daily basis, our home heating oil prices must reflect those changes and additionally may be adjusted depending on your location and our cost to get to you. Rest assured that whenever the global oil prices fall, we’ll reflect this change in our prices to pass on maximum savings to you. We monitor the price of oil per barrel daily so that we can adjust our price accordingly and ensure you get a quote that is competitive, fair and great value for money. Both Kerosene and Gas Oil are crude oil products so if the price of international crude oil is rising, then Home Heating Oil prices normally follow. The price of crude oil is affected by separate factors too – the cost of production, the cost incurred from storing it safely, structural framework changes including changes in the legal and tax frameworks of oil exploration and extraction. These costs all add up and unfortunately it can mean higher prices for home heating oil for the end consumer. The Euro-Dollar Exchange Rate is a key influence on prices. Crude Oil is traded by barrel in US Dollars, therefore a strengthening dollar versus the Euro will generally lead to an increase in prices, conversely a weakening dollar normally results in price decreases. Whenever we provide you with a quote for home heating oil, the price quoted shows the cost per litre of oil and includes VAT, which for domestic heating is currently at 13.5%. Any increases in VAT unfortunately mean that the price increases too which will affect how much you pay for your oil top up. Global supply and demand relationships also impact the final price you pay for a home heating oil top up. These influences are tracked daily – for example when President Trump was appointed plans were quickly underway to drastically increase US oil production, and it remains to be seen how this will influence the activities of other key oil producing countries in the long term. As with any product, there are costs to market and distribute it to end users, and home heating oil is not exempt from these. Any increases in crude oil prices normally means that transportation costs increase too which makes it costlier to get home heating oil to you. Wherever we can group deliveries into locations close to each other we will, as this saves on our transport costs and we can pass these savings on to you. Find out more about our Nationwide Delivery service and what this means for you. Conflict in oil-producing countries causes global unrest and uncertainty, and this is often reflected in the prices of crude oil, as any risks relating to supply of oil will cause the cost per barrel to creep up. For example, disputes between Baghdad and Iraqi Kurdistan, in the recent past, over independent oil sales caused oil output to drop significantly by about 150,000 barrels per day. If your oil tank allows for a bigger delivery you should always order as much as you can afford at the time to benefit from economies of scale (where the more your order, the more you save). If you order a smaller amount each time you top up, you could end up paying more in the long term for your home heating oil. 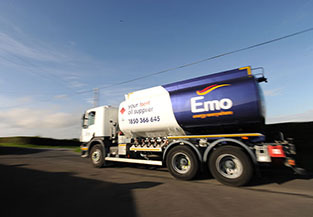 Emo offers Planned Delivery packages to customers, meaning we measure the daily temperature and your average usage to calculate when you are running low. Then we fill your tank, giving you a competitive ‘fill tank’ price, and monitor your usage until you need another fill. No running out and no reminders needed. Simply select your fuel type, location and order quantity, and get an instant no obligation quotation at any time. You will receive a price immediately, to order just follow our simple 3 step secure order process and a fast home heating oil delivery is just a few clicks away – the whole process takes minutes to complete. Best of all, as well as a fast home heating oil delivery; we also make sure you receive excellent prices and a range of product and service options to ensure you get the level of service you deserve. On ordering, you are automatically setup with an Emo Online Account, which means you skip the order process next time. Your online account also allows you to check previous orders, check delivery confirmation, print statements, request a change of delivery address and contact details.